Over the past couple of years, the quality of shooting on a smartphone has grown so much that even jokes about “professional photographer with an iPhone” do not seem so ironic. Now on mobile devices, they make films, advertisements, short shows. 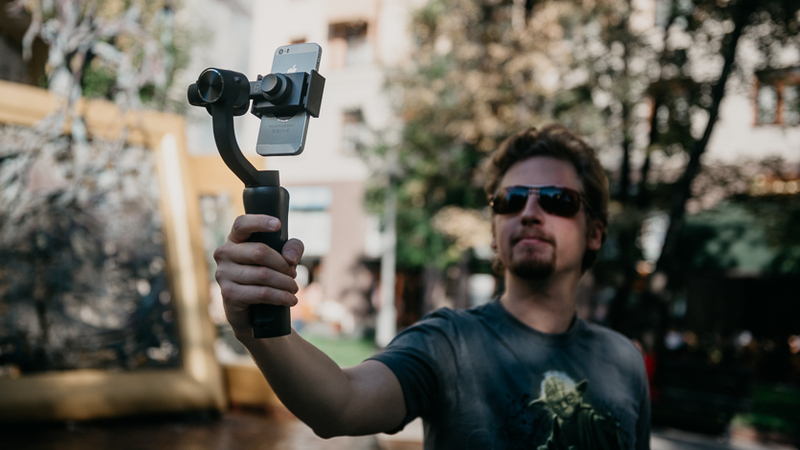 To improve the quality of the image, often use additional equipment, and the most popular is the stabilizer for video. It is understandable because this is the easiest way to get a clear and smooth image for relatively little money. Today we find out how well the Gemini GM-STD3200B hit on the review fits. Why do they use the mobile stabilizer? To get a smoothed, smooth picture, “like in the movies”, without using expensive professional equipment. Of course, in actual fact, in order to get “like in a movie,” it is necessary to take pictures of what they usually shoot there. But in our case we are talking about the similarity, which satisfies the quality of most undemanding viewers. That is – you and me. The first impression of the stabilizer is very pleasant. Soft, pleasant to the touch plastic, comfortable shape, thanks to which it is good (in this case, it is not a joke) lies in the hand, thick plastic plugs, lack of backlash and squeaks. The Chinese Film affiliation “FilmMaker for Mobile” gives out a little, written in a strange font, but otherwise it looks good. 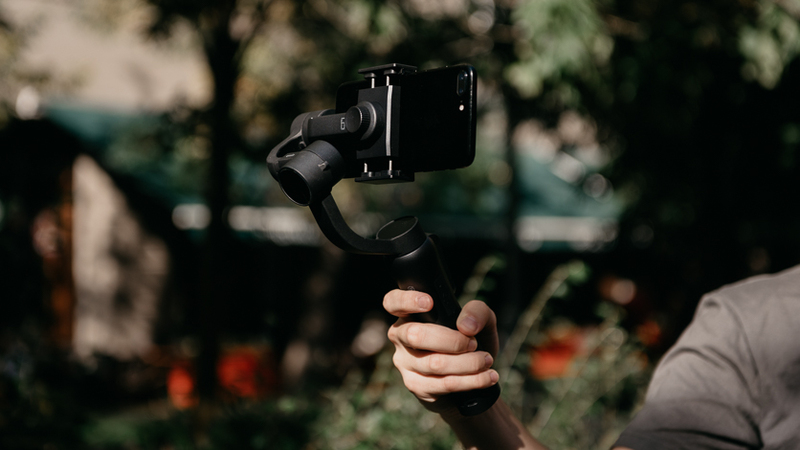 There is a small handy joystick that allows you to control the movement of the smartphone, which gives an additional degree of freedom when shooting. On the right side of the body is a lever that controls the zoom. Its disadvantage is that it draws it away and away from it rather distantly, so it’s impossible to remove the smooth “impact” of the camera on the object. However, few devices allow you to do a smooth zoom programmatically, and this primarily does not apply to the device in question, or even to its software, but to the camera driver (or the smartphone camera itself). Physical zoom works best. Well, or the usual approach of the operator with the camera. Gmini has three modes of operation. In the first one – “Panorama and tilt” – the roll axis is blocked: the camera smoothly continues the movement of your hand and dampens vibrations. The second option – “Panorama mode” – leaves only the axis of rotation unlocked and allows you to get a smooth picture taken from a single point. When using the third option “All axes are blocked”, the gadget remains fixed, all vibrations are extinguished. The use of all modes requires a little training to figure out what’s what, and which option is better to use in a certain situation. For a couple of hours of active test, you can adapt to shoot confidently enough not to get lost in shooting modes. The main thing is to take the time to move the camera smoothly. 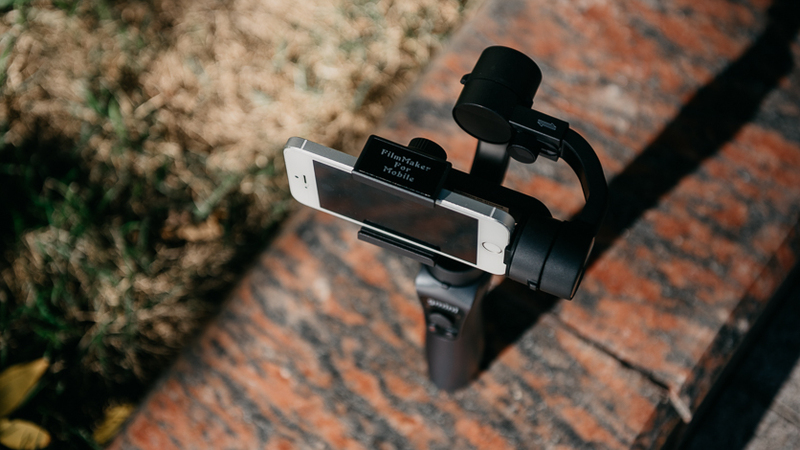 In all modes, the stabilizer does an excellent job, smoothing out vibrations and small “wiggle” that annoys when watching a video. Usually you don’t really notice them on the screen when shooting, but all the flaws are immediately visible on the monitor or TV. To realize all the features of the device, you must use a proprietary application. It is simple and quite convenient, there is quick access to all shooting modes (photo / video, TimeLapse, slow-mo and even M-TimeLapse). You can even quickly select the quality of video Full HD / 4K directly from the application. Connects the smartphone to the device via Bluetooth, quickly and without problems. At startup, asks for access to the camera, gallery and microphone. The application is available in both the AppStore and Google Play. There is support for technology tracking the face of a person in the frame and the object. The first application handles well, but during the editorial testing, the second function did not work as we would like. The camera consistently recognizes only fairly large objects. Perhaps in future versions of the application it will improve. It is worth noting that the application is not “abandoned” and is actively being finalized. 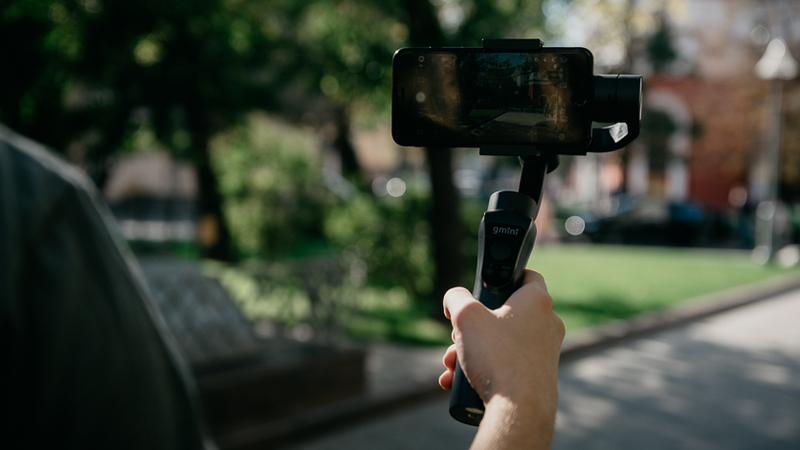 During editorial testing, an update for Android was released, in which the Russian translation of the menu was significantly reworked and additional video resolutions supported by the smartphone’s camera were added. Similar changes are expected for the version for iOS. In addition, there is a mode of panoramic photography at 180 °, 330 ° and gluing panoramas from several frames vertically and horizontally. 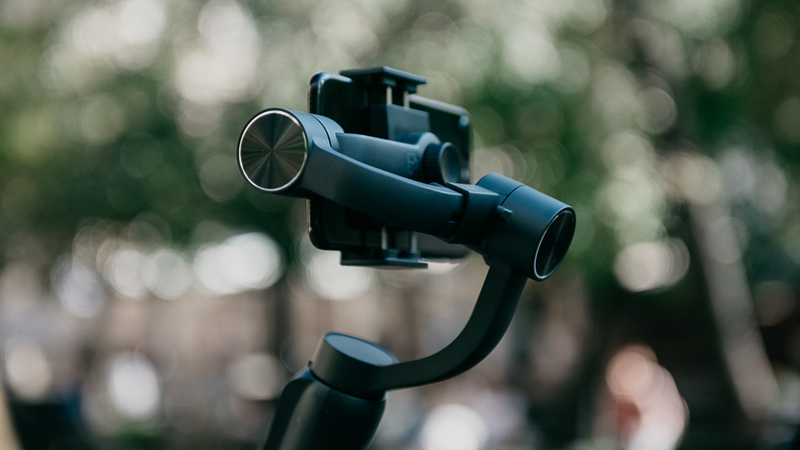 In this case, the stabilizer, standing on a tripod, automatically takes several frames and sticks them together into one very detailed high-resolution photo. 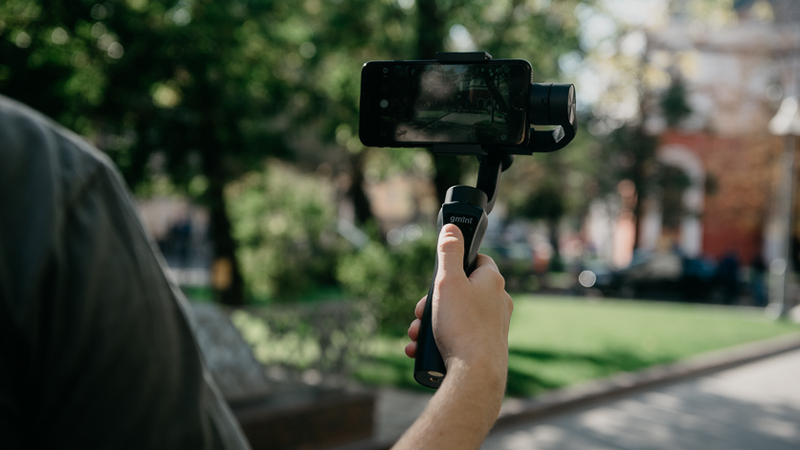 The device was tested with two smartphones: iPhone 7+ and iPhone 5s, in order to understand whether the presence of optical stabilization in a smartphone is important when shooting. It can be seen that the video shot on the old smartphone has become much smoother. In the case of 7+, this is not so noticeable – after all, optical stabilization in the “plus” does a good job – but also better. 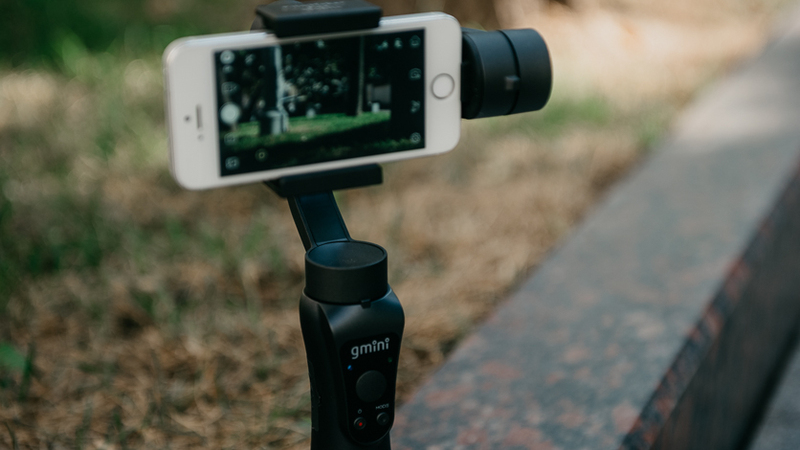 Unfortunately, almost all manual stabilizers do not very much quench the shaking from the steps, but here the only question is the skill – during the shooting you can slow down the step, moving a little smoother, which will positively affect the quality of the shot material. Declared support for all smartphones weighing up to 200 grams in vertical and horizontal modes. This means that almost all modern camera phones and large flagships will be compatible with the stabilizer. 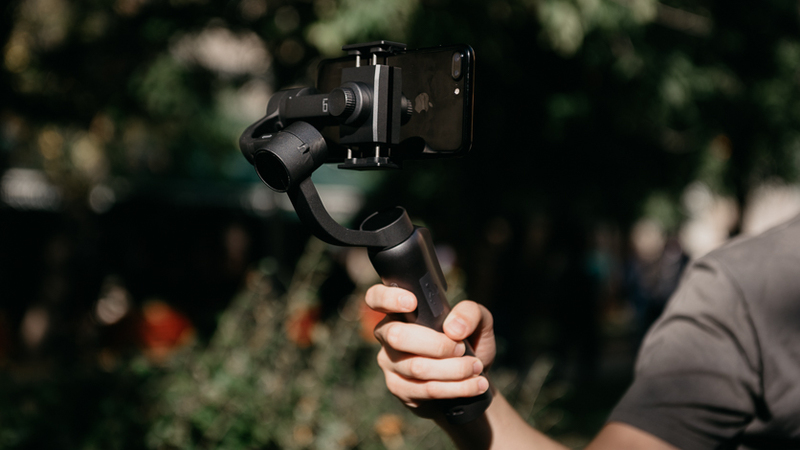 In addition, it is possible to charge the device directly from the stabilizer, which will prolong its life when shooting video. The manufacturer claims battery life of about 10 hours. This is enough for a week on a trip to think about charging the device just a couple of times. Agree, go and shoot everything – not exactly what you want to do on vacation. 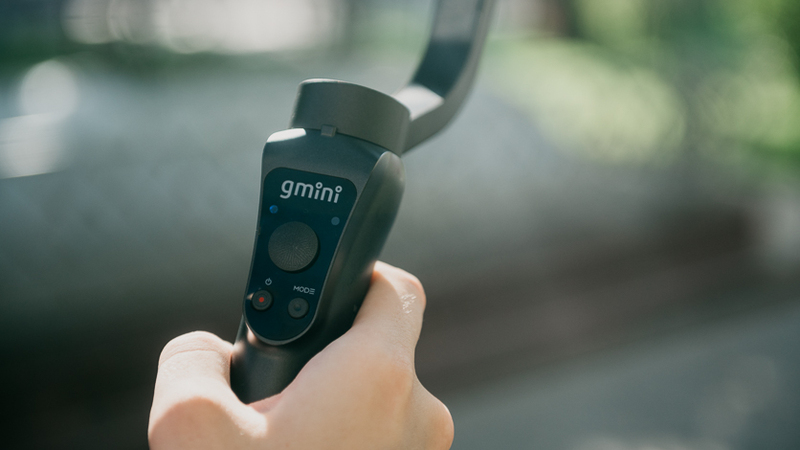 Summarizing, we can say that the Gmini GM-STD3200B is definitely worth the money. 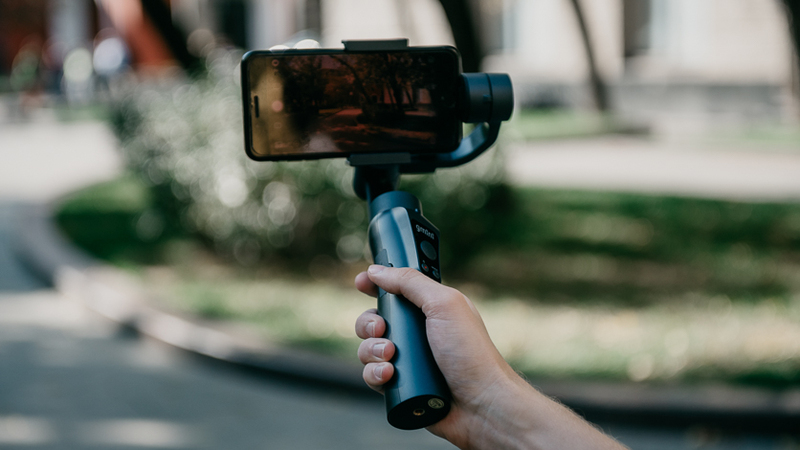 This is a great choice for those who want to start shooting their blog, edit videos from travels or simply raise the quality of shooting to a new level.